Infracont Instruments Ltd. has over 3 decades of experience and knowledge in developing, manufacturing and servicing Near Infrared grain and flour analyser instruments. Our grain analysers apply unique, patented optics inside called Single Beam Compensation System. Infracont’s grain and flour analyser instrument are equipped with state-of-the-art electronics and user interface. Thanks to careful product design and professional manufacturing background, our analysers meet the expectations of the industry in terms of accuracy and stability and meet the high demands of our customers. Our guiding principle is innovation: we continually improve our products in both model range and functionality, and our calibrations are constantly being developed to consistently maintain the quality of our products. The owners established FOCUS ENGINEERING GMK, the predecessor of Infracont Kft. Development and production of the 1st portable NIR analyzer of the world: Mininfra-5 reflexion analyzer. Launching of our newest model MININFRA SmarT with automatic path-length setting and internet connection. Mininfra SmarT SW, the ‘big brother’ of Mininfra SmarT with a hectolitre weight module, is launched to the market. The production of the Mininfra Scan-T Plus model is discontinued. Comprehensive renewal of both models and corporate identity. 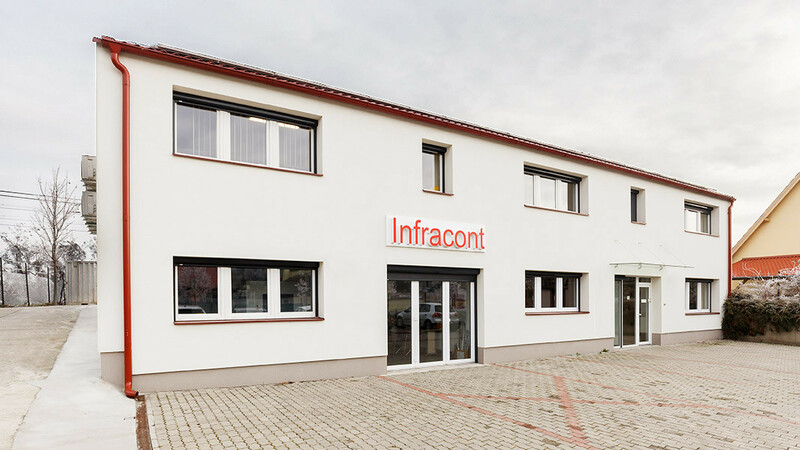 Two brand new models replace the members of the Mininfra family: Infracont XGrain replaces Mininfra SmarT SW, Infracont SGrain replaces Mininfra SmarT. Along with the model change, we also updated our corporare identity. There are about 900 instruments of the lately produced Mininfra models operating in the world in but hundreds of previous models are also still in use.